Pavilia Blankets are the perfect way to add colors, pattern, and decor to your home within the Budget. 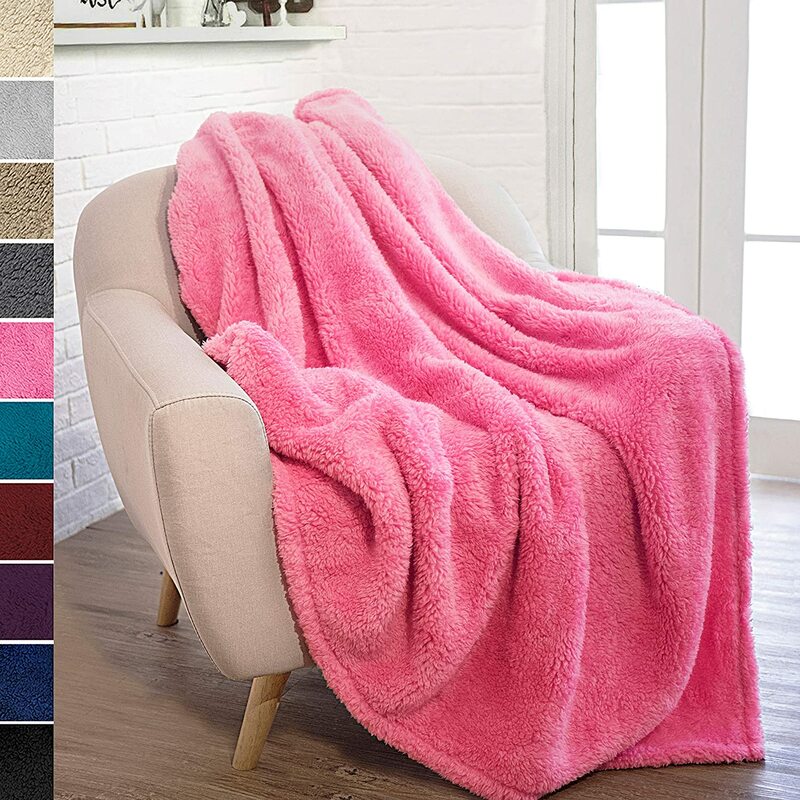 Whether on your Sofa, Bed, or couch, any one of these beautiful and fuzzy throw Blankets that are listed below, is the perfect addition for any living room. They are warm, stylish, and most importantly comfortable for every Home Decor. They are perfect for you to snuggle with while watching TV on the couch, or relaxing on your Sofa and bed as well. Perfect for indoor use but also great for outdoor use; Plenty of room to wrap around for snuggling, napping, sleeping or lounging. Pavilia Blankets Discounted Seasonal Sale! 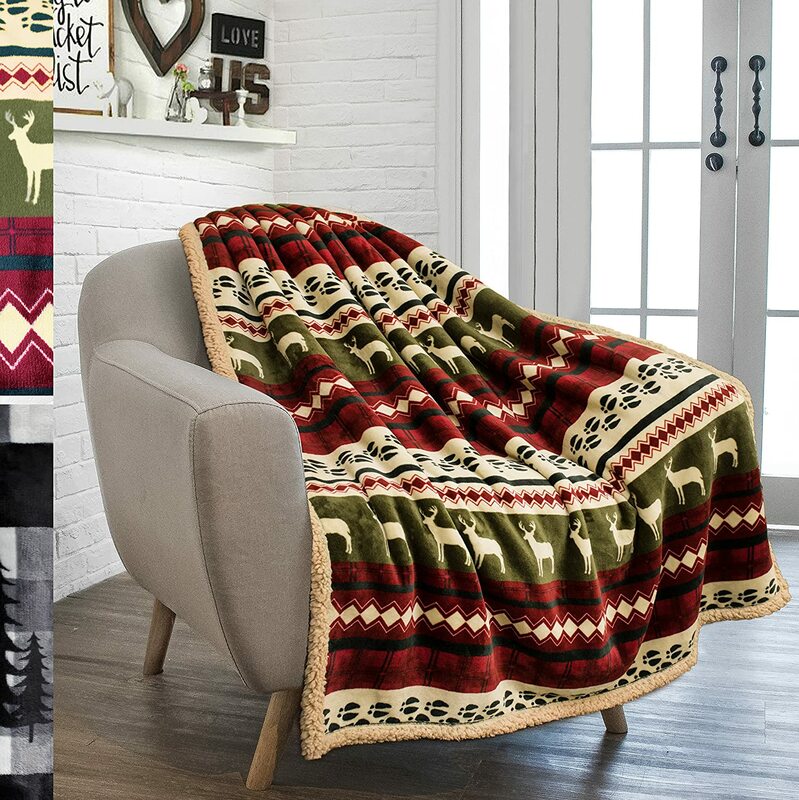 This super soft, plaid sherpa throw blanket is perfect for you to snuggle with while watching TV on the couch, or relaxing on your sofa and bed. Perfect for indoor use but also great for outdoor use; Plenty of room to wrap around most adult men, women, and kids. 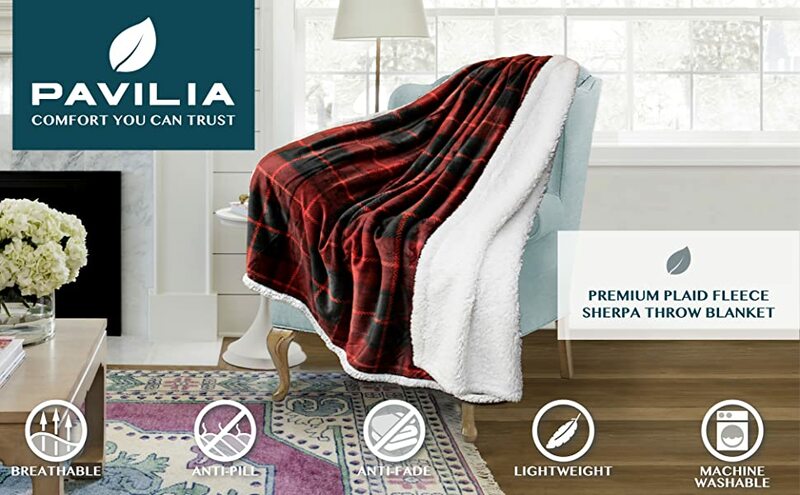 CLASS, COMFORT, AND WARMTH IN ONE BLANKET – This Premium Sherpa Throw Blanket comes with super soft microfiber fleece on one side and sherpa lining on the other side. The blanket made with super soft fabric that will keep you warm and cozy while you lounge on your sofa. 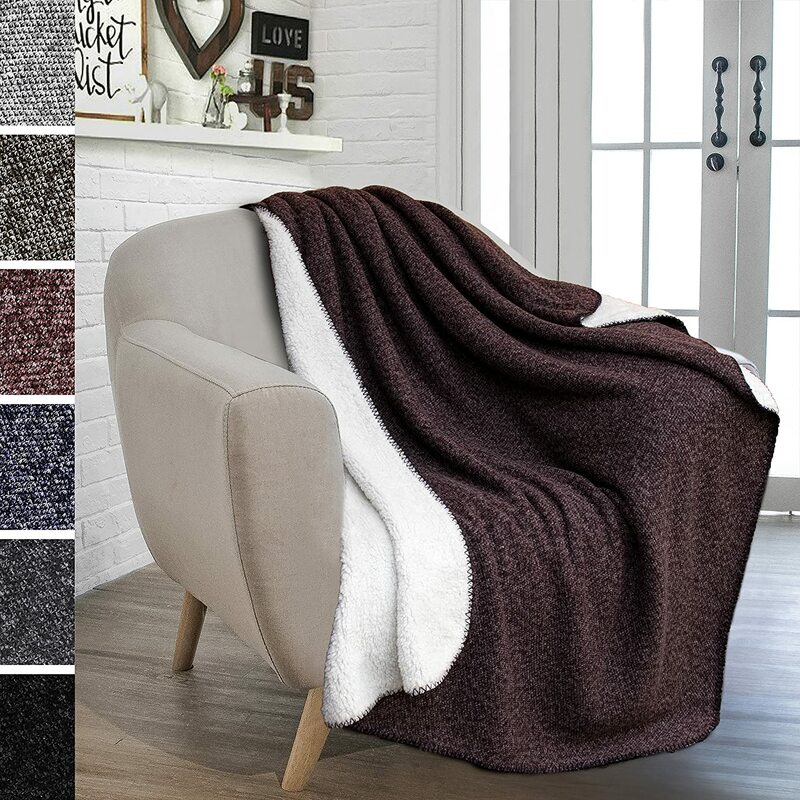 ADD COLOR TO YOUR HOME – Available in 6 colors (Charcoal, Light Gray, Latte, Navy, Red, Taupe) — this elegant blanket also provides the perfect accent for your couch, sofa, and living space. 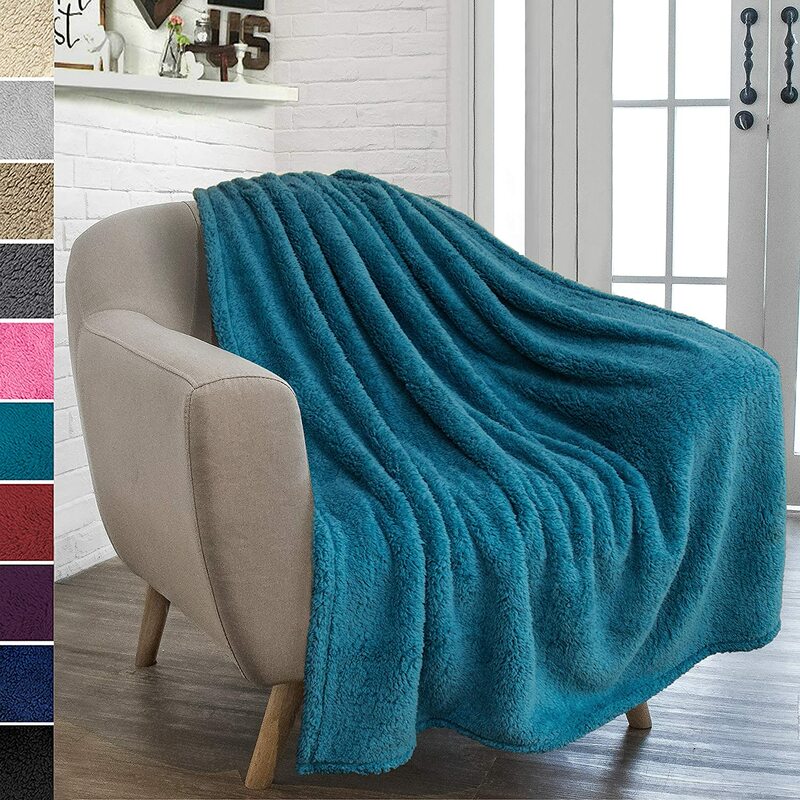 This Colorblock Yarn Dye Gradient Print Throw Blanket is made of 100% premium microfiber that is silky smooth to touch, warm, lightweight, and cozy, making it a versatile choice for all season use. It is wrinkle and fade resistant and doesn’t shed! UNIQUE YARN DYE BLANKET – This yarn dye gradient print is special. Each yarn is dyed individually and assembled to create a progressive gradient look, giving it a modern and contemporary feel! The blanket is plush and keeps you warm and cozy for all season use. MIX AND MATCH – The ultra soft flannel fleece blanket provides the perfect accent for your couch, sofa, bed, and living space; Mix it up with your decor, drape it over your couch, sofa, sectional or bed to add design and style to any room; Available in 3 Colors (Charcoal, Sea Blue, Purple) in 50 x 60 inches. 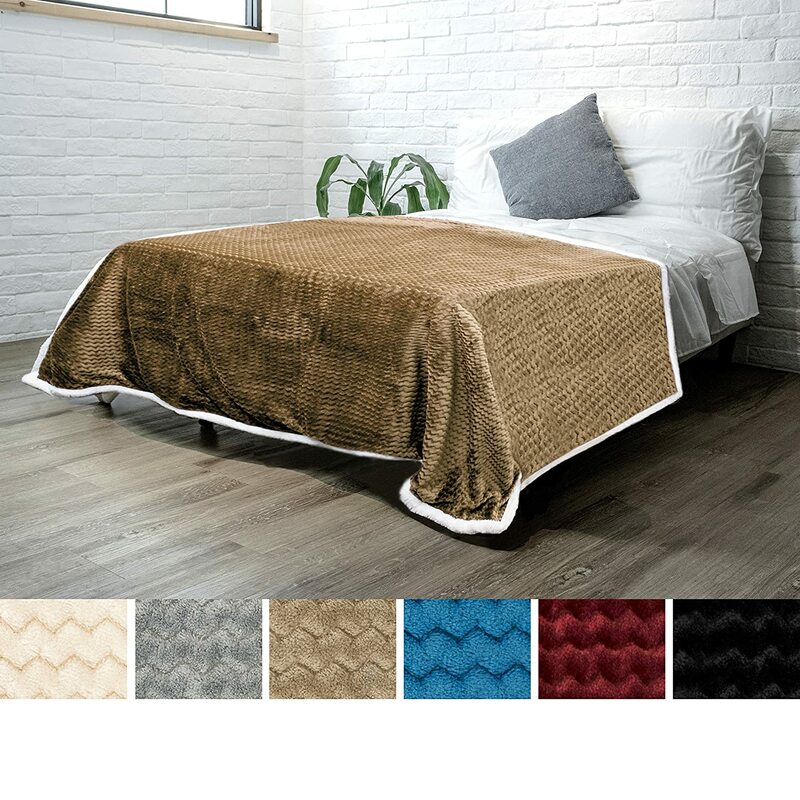 HIGH QUALITY AND DURABLE CONSTRUCTION – Made with high grade 300 GSM of 100% premium microfiber polyester, this vellux blanket is plush, lightweight, yet durable. Given its beautiful pattern, gradient color and quality craftsmanship, this blanket makes a great gift for adults, family, and friends on any occasions! EASY TO CARE – Wash separately in cold water; Tumble Dry Low. Our blanket gets softer with each wash! Anti-fade, Anti-pilling, wrinkle-free, does not shed. ELEGANCE AND VERSATILITY IN ONE BLANKET – The blanket has a subtle chevron, leaf design that is understated yet elegant. 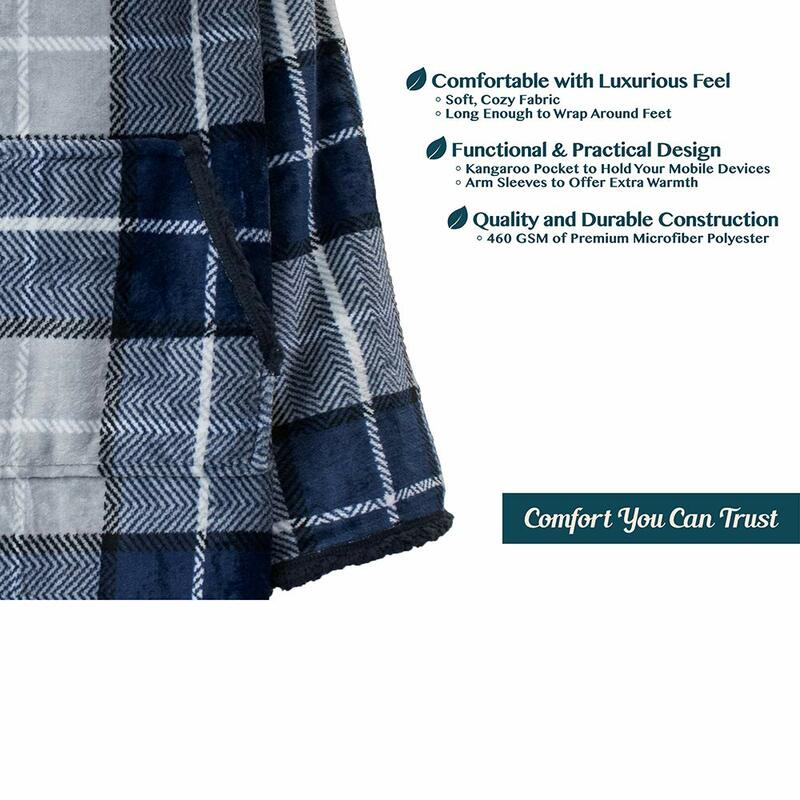 The blanket is plush and keeps you warm and cozy; However, it is single layer and lightweight, making this the perfect blanket you can use all season throughout the year. HIGH QUALITY AND DURABLE CONSTRUCTION – Made with high grade 300 GSM of 100% premium microfiber polyester, this blanket is soft, lightweight, yet durable. Given its beautiful pattern, vibrant color and quality craftsmanship, this blanket makes a great gift for adults and kids on any occasions! Sherpa lined wearable blanket with sleeves that’s ideal for keeping you warm and cozy while watching TV, lounging on sofa/bed, gaming, or reading a book. COMFORTABLE AND LUXURIOUS – Made with soft, cozy microfiber fabric and designed to be long enough to wrap around your feet for maximum comfort. Lined with super soft fluffy Sherpa material inside to keep you warm and cozy no matter how cold the room gets! FUNCTIONAL AND PRACTICAL – The sleeves allow for full arm mobility and the front sweater pocket can store your mobile devices/essentials and keep your hands warm! DURABLE CONSTRUCTION – Made with 260 GSM of 100% lightweight microfiber polyester; Large arm sleeves opening; Makes a wonderful gift for your loved ones during any holiday and special occasions! 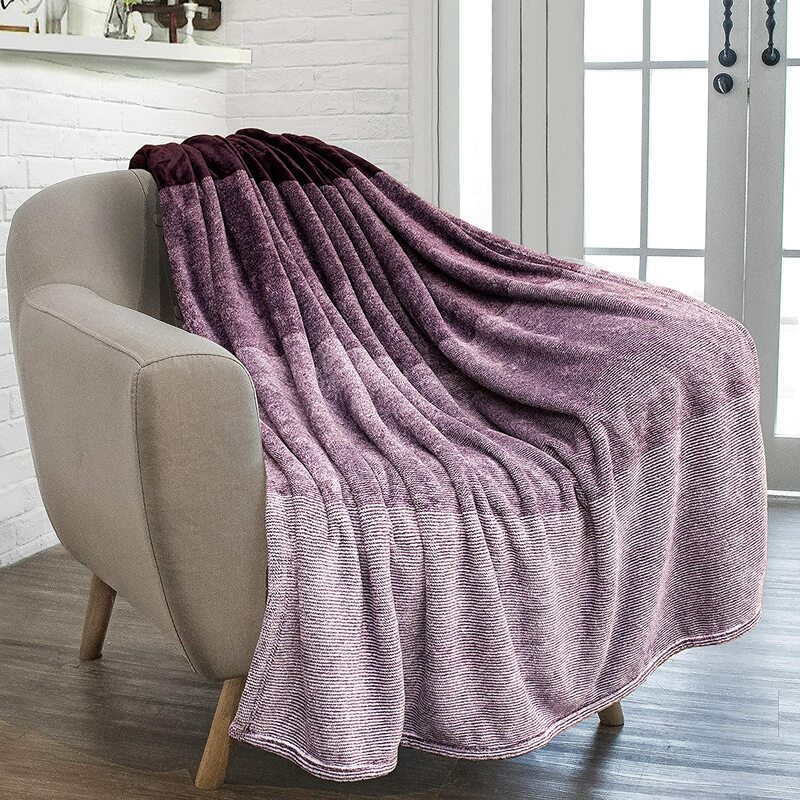 PAVILIA Premium Flannel Fleece Throw Blanket Sofa Couch | Wine Maroon Waffle Textured Soft Fuzzy Throw | Warm Cozy Microfiber | Lightweight, All Season Use. This super soft, luxurious blanket is perfect for you to snuggle with while watching TV on the couch, or relaxing on your sofa and bed. Perfect for indoor use but also great for outdoor use; Plenty of room to wrap around most adult men, women, and kids. MIX AND MATCH – The elegant blanket also makes the perfect accent for your couch, sofa, bed, and living space; Mix it up with your decor, drape it over your couch, sofa, sectional or bed to add style to your room; Available in 6 vibrant colors(Latte, Taupe, Sea Blue, Gray, Wine, Black. 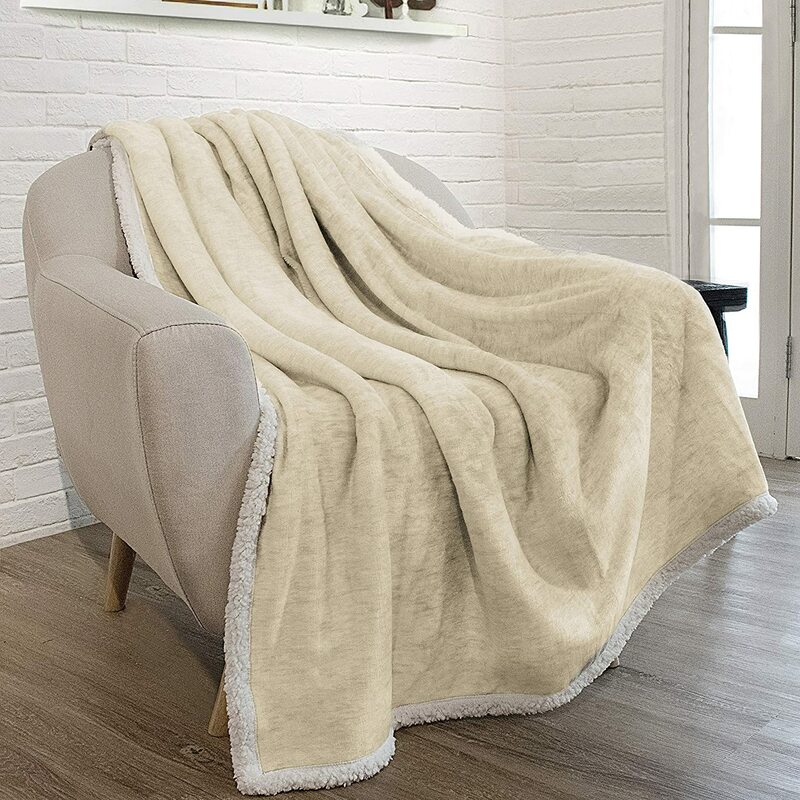 WARM, COZY, YET LIGHTWEIGHT – This Sherpa Throw Blanket by Pavilia is made with sherpa lining fabric that will keep you warm and cozy while you lounge on your sofa or couch. Despite its warmath, It is also lightweight, making it a truly functional blanket that you can carry around your home and fit for all season use. 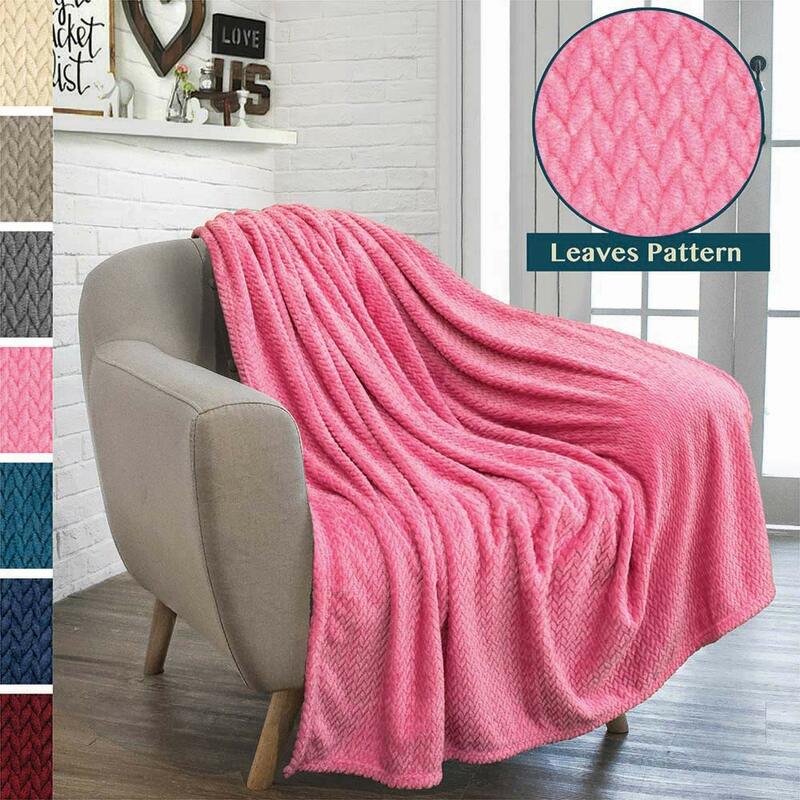 ADD COLOR TO YOUR HOME – Available in 8 beautiful colors (Black, Blue, Pink, Wine, Taupe, Gray, Purple, Latte), this versatile blanket provides the perfect accent for your couch, sofa, and living space. Mix it up with your decor, drape it over your couch, sofa, sectional or bed to add style to your room. This luxurious knit throw is perfect for you to snuggle with while watching TV on the couch, or relaxing on your sofa and bed. Perfect for indoor use and great for outdoor use; Plenty of room to wrap around most adult men, women, and kids. Available in one size: 50 x 60 inches! STYLE, COMFORT, AND WARMTH IN ONE BLANKET – This blanket has plush knit design on one side and sherpa lining on the other side. The knit side has a unique two-tone color and is soft to touch while the sherpa lining side is soft and fluffy with strong ability to retain heat. This stylish blanket will keep you warm and cozy while you lounge on your sofa! HIGH QUALITY AND DURABLE CONSTRUCTION – Made with high grade 500 GSM of 100% premium fleece microfiber polyester, this blanket is soft, lightweight, yet durable, making it the ideal choice for year round use. Given its beautiful pattern, vibrant color and quality craftsmanship, this blanket comes with GIFT PACKAGING makes a great gift for adults and kids on any occasions! 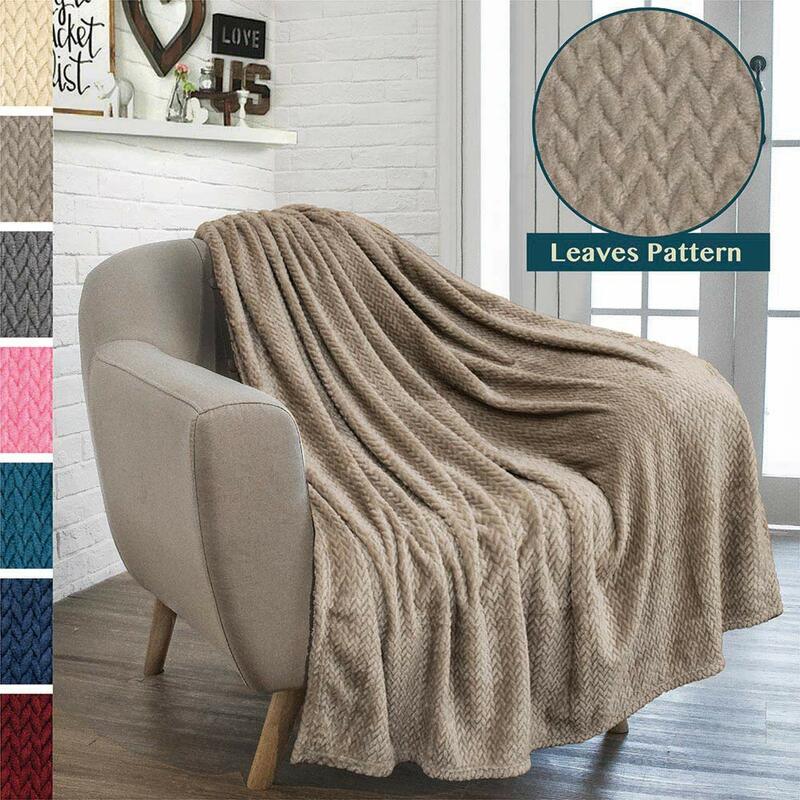 ADD COLOR TO YOUR HOME – Available in 10 beautiful colors (Black, Blue, Pink, Wine, Taupe, Gray, Purple, Latte, Light Grey, Turquoise), this versatile blanket provides the perfect accent for your couch, sofa, and living space. Mix it up with your decor, drape it over your couch, sofa, sectional or bed to add style to your room. Deluxe Women Fleece Robe with Satin Trim | Luxurious Plush Spa Bathrobe Waffle Design.